..Our Internet booking is always open. If you have questions regarding accommodation or simply wondering something else, you are always welcome to email us, all year round! We wish all the guests a warm welcome to the coming season, hope to see you!. The long sandy beach have space for everyone. Just grab your sun chair and make yourself comfortable. Why dont enjoy a swim in the pool before your morning coffee? 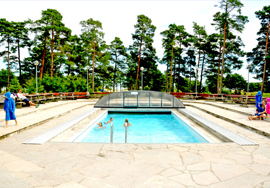 Åminne offers amazing nature areas for all of our guest. 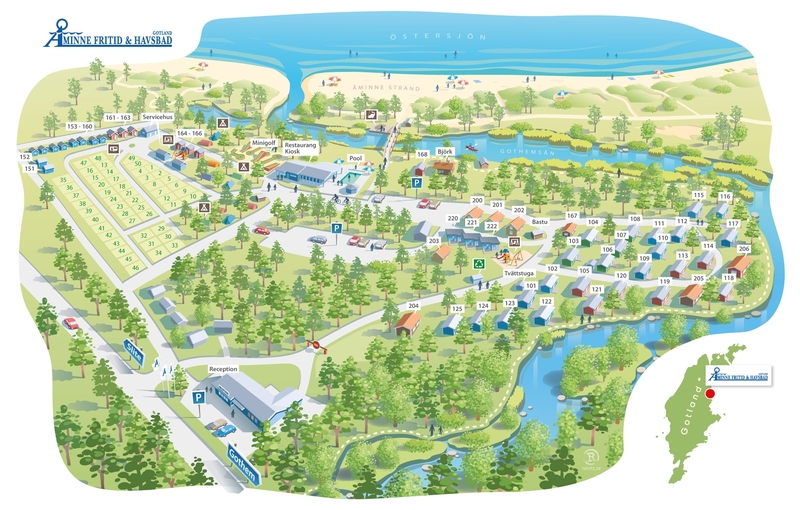 Åminne Havscamping is located 100 m from the beach with pitches for caravans, camper and tent. 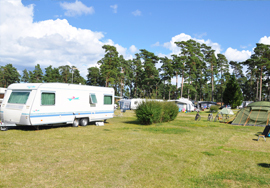 Åminne is located about 40 km from Visby, on the east of Gotland, where you will find one of the island's finest beaches, cottages for both small and large groups, and camping area. Come with your caravan/mobile home or take the tent, we offer both with or without power supply. 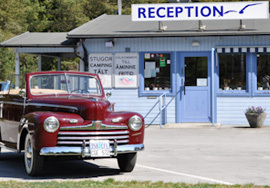 On the area you will find a fully licensed restaurant (open in summer). Take the family and friends on a mini golf tournament, try our boules or on the really hot summerdays we recommend you take a dip in our outdoor pool. For the younger guests, there are several playgrounds and the possibility of hiring a "pedal go-cart." Besides the fantastic natural asset Åminne offer, we are all looking to make life a little easier and richer, which you will find here. Warmly welcome to us at Åminne! 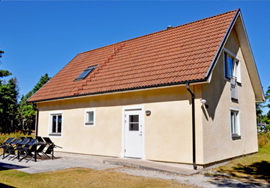 The cottages are available on a weekly basis: monday, saturday or sunday. Book your visit right now, Directly online or by phone or email. Find out more about Åminne and view some nice images rom the area. About Åminne Åminne Fritid & Havsbad is a family owned company, and since the start in 1990 has the whole family been involved, even though the son in the family most was sitting in daddy knee in the tractor. Sivert Hallgren, who has put all his heart to this lovely facility, have now after 25 years of leading Åminne now given the ship to his son Marcus Hallgren. And together with his mother Ewa Hallgren they will now continue the development of Åminne! - The future of Åminne looks very bright, and together with our carefully selected and dedicated staff, we will do everything for you to enjoy your time with us! Warmly welcome!